Every good marketer knows there’s a small set of essential drivers to selling a product or idea—even a candidate. 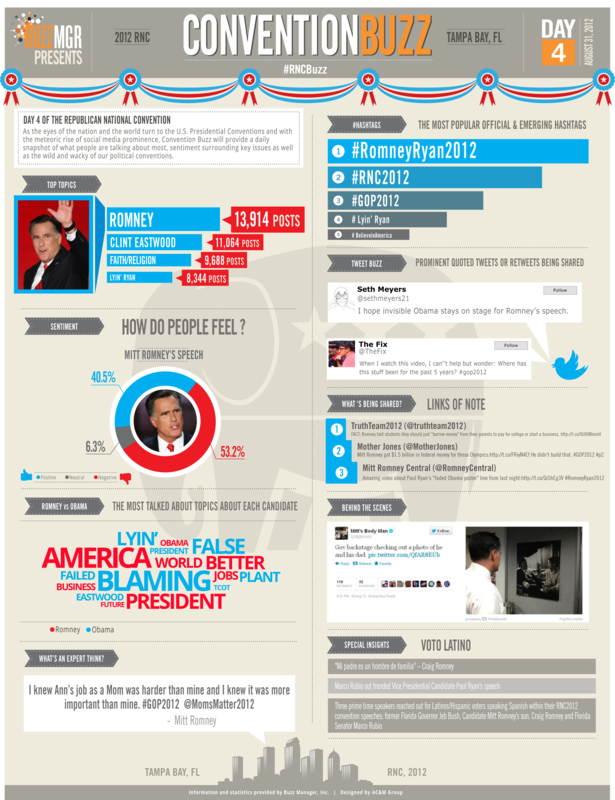 In the traditional marketing funnel there has already been plenty of awareness and product information on Barack Obama and Mitt Romney to help voters make their decision. But one of the most important intangible drivers is what marketers call buzz. After two weeks of heavy political showmanship, there’s some metrics which show one party and one candidate is winning the talkability battle. 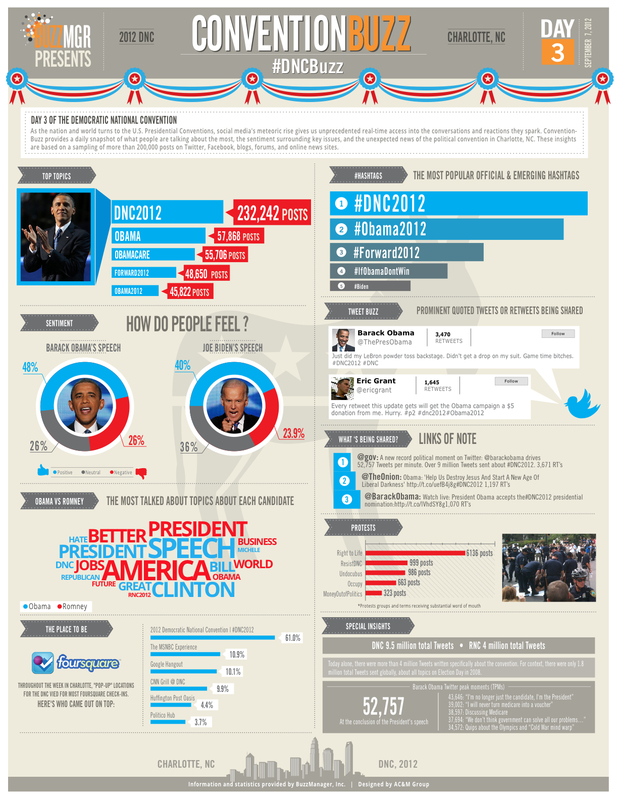 In a world that is increasingly social and using digital social platforms for media and news consumption, a number of interesting patterns are occurring in the 2012 election. First, traditional TV viewership of the conventions is down from 2008. Second, those who are viewing the conventions are screen-splitting their attention. That is, they’re viewing a traditional TV or streamed feed of the convention speeches and simultaneously using another screen window or mobile device to interact with and share the content they’re viewing. It’s what 1960’s media prophet Marshal McLuhan would have called “cool” media consumption requiring the user to elaborate, process, and react. It’s a new world, a new dynamic, and a new form of marketing buzz. Another measure of buzz is the amount of traffic each candidate is attracting to his website. 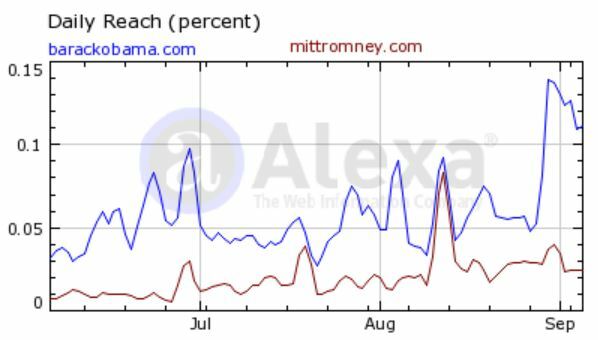 Here again according to the web analytics firm Alexa, Obama is steering far more traffic to his campaign site than Romney is to his. 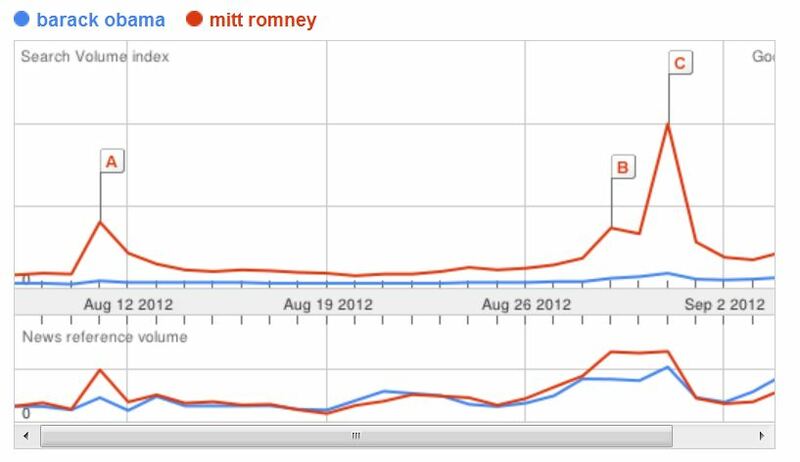 (Figure 3) The only metric that shows Romney with an advantage, is web searches tracked by Google trends. 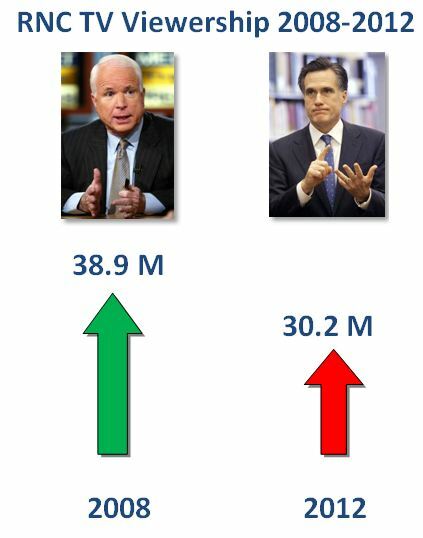 During the past 30 days Romney has drawn more people to their computers searching for information on him. 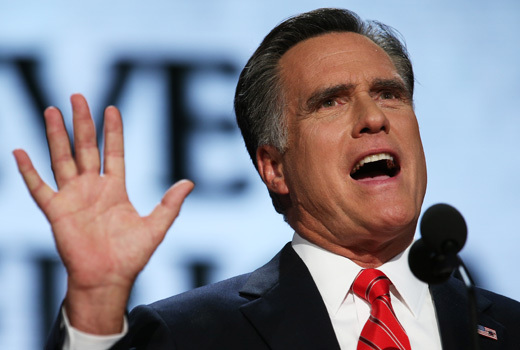 (Figure 4) It’s a measure that makes perfect sense since Romney is still not as well known as the president who has spent one term in office. 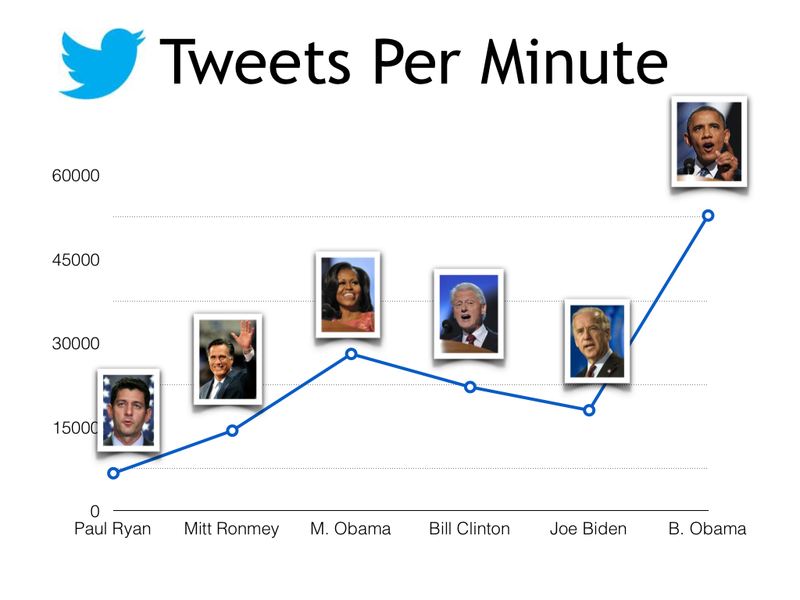 While Obama is making impressive gains in social buzz, there are also critical limitations to using this as a predictor for the election. First and foremost are demographics. The use of social media is inherently dominated by Generation X and Millennials. 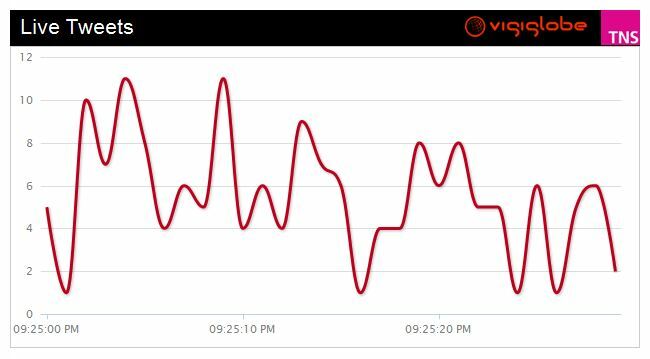 As noted in a separate post, the number of viewers to the GOP convention heavily skewed toward Baby Boomers 55 and older. Political research tells us these are the people who actually vote. 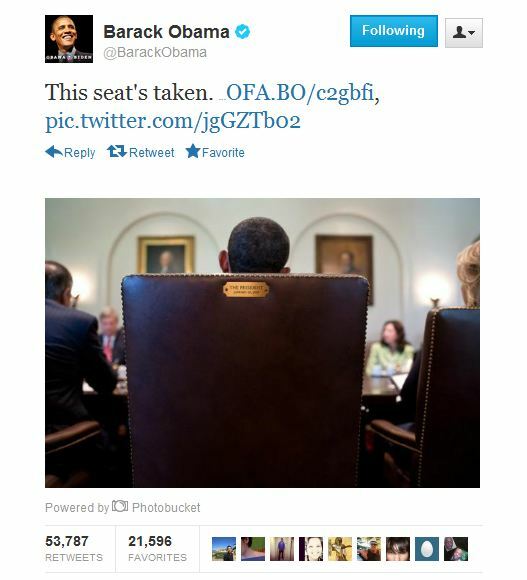 Second, buzz is only one of many drivers a campaign needs to put its candidate in office. From a marketing point of view, it also needs to elicit awareness, emotional bond, loyalty, and especially activation—getting their supporters to the polls. 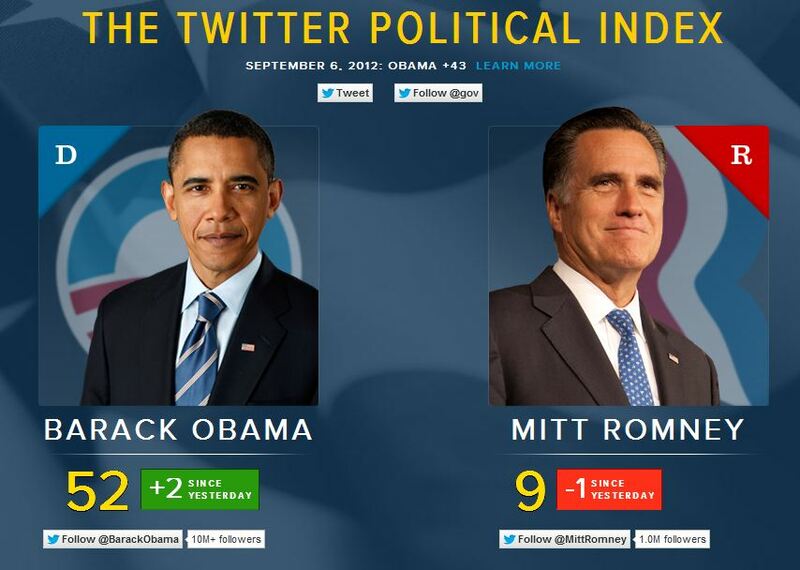 After all, if social media buzz was the only driver that really counts, Ron Paul would be the GOP nominee. Coca-Cola & Facebook. How Coke Writes the Book on Sharing—Again. Coca-Cola didn’t become the world’s most recognized brand by keeping the cap on the bottle. The not-so-secret success to Coke has always been its laser beam focus creating happiness that tastes better when it’s shared. It should therefore come as no surprise that Coca-Cola has popped the cap on another major branding success—50 Million Facebook “Likes.” In the process, Coca-Cola offers a blueprint in how to engage brand evangelists in social media space. In every respect, Facebook is the perfect match for Coca-Cola. Coke is a brand whose core identity is about sharing and it has masterfully positioned the brand on a social platform built for sharing. But the key to Coke’s success on Facebook is how it engages its followers—always with a question or an invitation for people to share their own ideas. To celebrate its 50 millionth “Like” Coca-Cola has created a special Facebook app inviting followers to share their thoughts on how to improve the world. Coke promises to select one idea early next year and contribute to the cause. The lesson for other brands on Facebook is that the platform is not a place for corporate news or industrial relations. It’s a space where organizations can showcase their core values and let followers engage in what it means to them. Now… where’s my bottle cap opener?